Last update: March 14th 2019. Hopefully by writing this post during the course of the year instead of at the end, my reading will become less random and more focused! The book listed last is the main thing I am reading now. Clive Cussler: Treasure (1988) – a beach novel about finding the lost books of the Library of Alexandria. You will never guess where they are found. An action film in book form – it has a plane crash, a car chase, a ship hijacking, a commando raid, even a good old Aztec human sacrifice. What more could you want? I have always wondered what it was like to read a Clive Cussler novel – they are all so uniformly thick! Now I know. Martin Day: Doctor Who: Wooden Heart (2007) – I have seen all the episodes of “Doctor Who” with Martha Jones and wanted more, so I read this. It is just as good if not better than the television show. A book is equal to like three or four episodes. In this one Martha and the Doctor find a dead prison starship with a simulated peasant village. 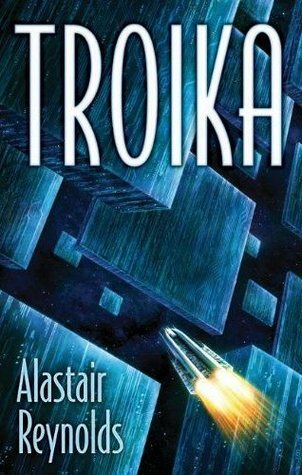 Alistair Reynolds: Troika (2011) – I am a sucker for books about discovering a mysterious artefact from another world, like “Sphere” (1987) and “2001: A Space Odyssey” (1968), but each time I am let down. It seems like no one can write a good ending to these kind of books. Ugh. Harriet Beecher Stowe: Uncle Tom’s Cabin (1852) – Wow, what a tear-jerker! It uses the Victorian novel (the Netflix of the day) to put you in the shoes of slaves. The book turned public opinion in the northern US against slavery, leading to civil war. Rightfully so. The eye dialect seems overdone, but the notes (by Henry Louis Gates Jr and Hollis Robbins) say that is pretty much how Black people talked back then. I will almost certainly be doing a post on this one. I’m just happy whenever I see your posts. I’m always low-key afraid that you’ll stop before I’m ready! Keep at it I really do appreciate you. 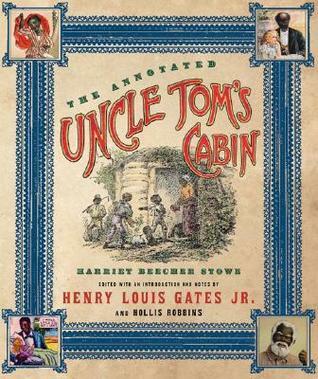 I read “Uncle Tom’s Cabin” in high school, in two versions (modern abridged and original). Very good book. Very impressive. By the way, what do you consider to be a good ending to books about mysterious artefacts?